Manipal Application Form 2018 will be commenced from the first week of November 2017. 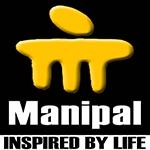 Manipal University organizes a university level examination known as MU OET (Manipal University Online Entrance Test). MU OET Exam is a gateway to get admission in various UG, PG and other programmes offered by the university. These courses are offered in the field of Engineering, Pharmacy, Applied Sciences and many other courses. Candidates can check this article to get the complete information of Manipal 2018 Application Form including dates, fee, eligibility and how to apply. The Manipal University 2018 Application Form will be available only through online mode from the website. There is no facility to fill the application form through offline mode or by post. Manipal University Online Application 2018 will be issued from the first week of November 2017 to second week of April 2018. Before filling the application form, candidates are ready with the scanned photograph & signature in a JPEG format. Take a print copy of the filled MU OET 2018 Application Form for further references. For B.Tech: Candidates should passed 12th/equivalent exam with physics, mathematics & English as compulsory subjects along with chemistry, biotechnology, biology or any technical vocational subject with 50% marks. For B.Tech (LE): Candidate must pass three year diploma in engineering & 10+2 with mathematic subject along with 45% marks. For M.Tech: Applying candidate must hold the bachelor’s degree in BE/B.Tech with 50% marks in aggregate. For BBA: Candidate should pass the 12th, A Level, IB, American 12th grade or equivalent with minimum 50% marks. There is no age limit to appear in this exam. Fill your required details such as personal details, course & category and location (address) details. Click on the “Submit and Continue” button. In the next step you have to fill your contact information & qualification details. After that click on “Submit and Continue” button. Upload your scanned images by click on “Choose File” button. Upload your photograph and signature in a given format. Read the declaration and tick on “I Agree” button. Select the maximum of two exam centres of your choice, select the payment mode and fill the payment details. After fee payment, click on “Submit and Continue” button. Take a printout copy of the confirmation page and keep it safe for future use. Question: When do I apply for Manipal 2018 Application Form? Question: What is the last date to submit the MU OET application form? Question: Can I get the application by post? Question: I missed the last date to submit my application form. Can I submit the application after last date? Question: I am studying in the last year of my course. Can I fill the application & apply for the exam? Question: Is there any need to submit the application form by post to the University? Question: I want to apply for MBBS courses. Why there is no option for MBBS course? Question: Do I have to fill the separate application form for two courses? If you have any query about Manipal Application Form 2018, you can leave your query in given comment box.